Big company capability with small company responsiveness. Services for commercial, industrial and multi-residential customers. UL central station monitoring and running service or remote monitoring. 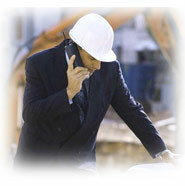 Our monitoring service is committed to answering all calls with a live person within 2 rings. Technicians that are Nicet certified. All technicians have been through a 3 year apprenticeship.